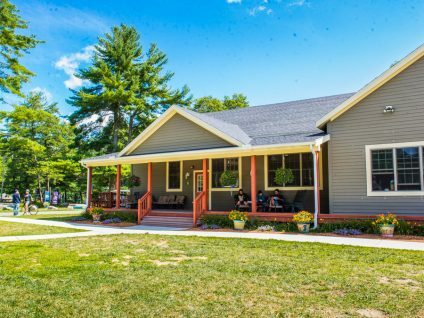 Camp Ramah offers indoor and outdoor facilities for meeting and programming. We have intimate classroom settings and amenities for large group programming. 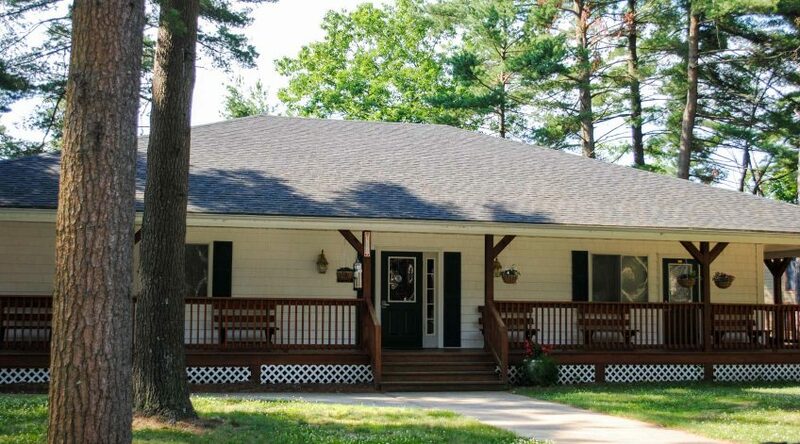 Many of our buildings are newly renovated. Our beit midrash complex is comprised of three buildings; a fully stocked library, classrooms, and a beit Knesset (synagogue). The complex has both heat and air conditioning and offers groups multiple meeting room options for running programs simultaneously. 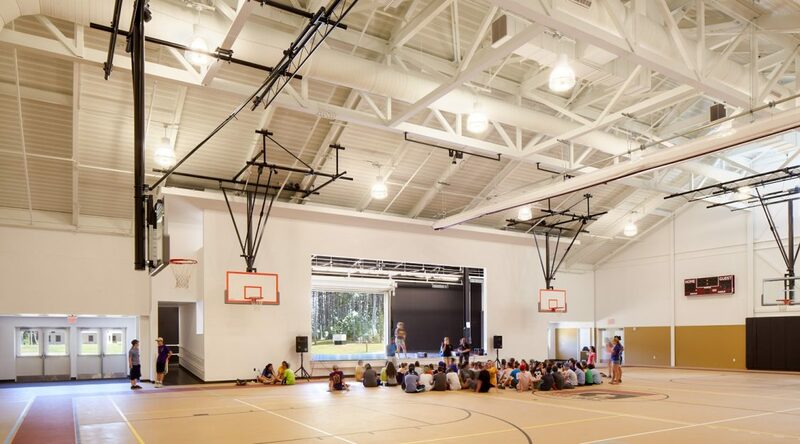 Our Beit Am Gadol is a gymnasium and theatre space equipped with a full-court basketball court and fitness room. 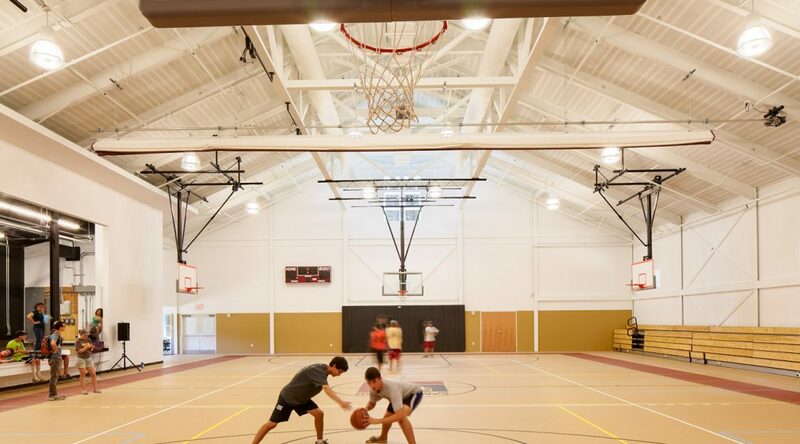 The beit am bet is our indoor recreational space that can hold 300 people. 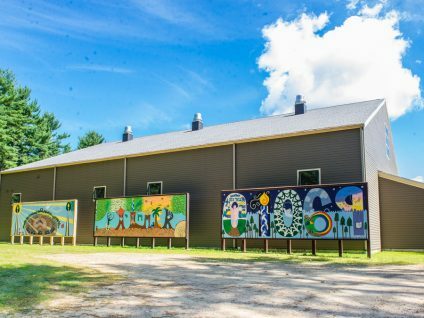 It is a heated/winterized facility that has a kosher kitchen and is equipped to feed upwards of 150 people. The staff lounge building is also equipped with both heat and air conditioning. It offers more meeting room options and can accommodate 40 people comfortably in its open lounge style space. There is a small kosher kitchen here as well.